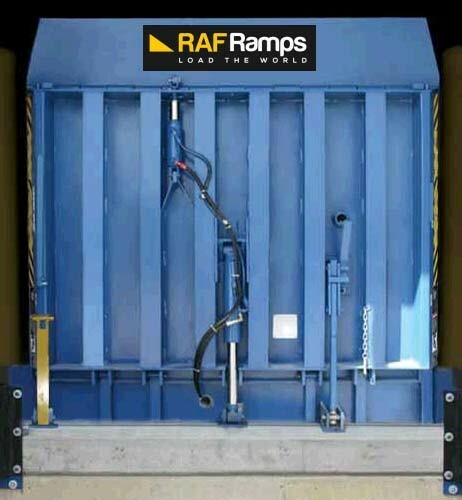 Raframps dock leveler has been manufacturing dock levelers since 2009 to meet the growing demands for effective, safe and economical solution to loading from the docks. The simple business philosophy of manufacturing a quality product with user safety in mind continues to be our approach in the marketplace. RafRamps dock levelers continu­ing success in designing, engineering, and manu­facturing loading dock solutions has gained RafRamps dock levelers an excellent reputation within the materials handling industry. There is huge lack of locally manufactured dock levelers in the region which RafRamps have effectively met local demands. Many clients who have bought RafRamps dock levelers have saved thousands of hours on loading and benefited from local support. A vertical storing dock leveler is the great loading accessory for facilities which require strict climate control and high cleanliness levels. It improves internal temperature control, reduces the risk of door damage, and minimizes debris entry. Here are the features of dock levelers. One-piece lip hinge pin enables a stronger distributed load. 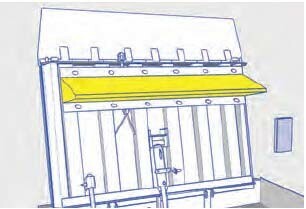 A fixed lip fully supported at the headboard is also available for unique applications. 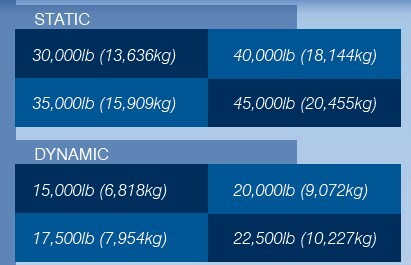 Operating range is up to 12" (305mm) above and 6" (152mm) below dock level. Comes complete with a 1HP, Totally Enclosed Non-Ventilated (TENV) power pack system. Because the power pack is not installed in the washdown area, the risk of water damage is removed. The optional foam draft pad provides additional sealing against outside elements and enables better environmental control. 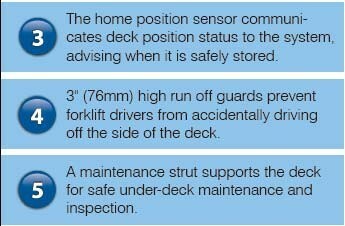 Minimum of 6 U-beam channels (with twelve distributed load points) make the deck less susceptible to ‘dishing’—extending the working life of the dock leveler. 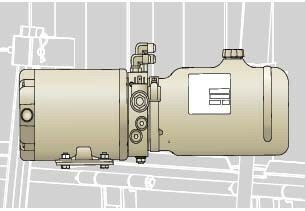 2, Temperature Control –This type of ‘drive-thru’ application improves efficiency and minimizes energy loss, making vertical storing dock levelers an ideal solution for refrigerated trailers and facilities requiring high sanitation levels, such as food and medical product storage. When not in use, the dock leveler is stored in a vertical position, allowing the overhead door to close all the way to the pit floor. 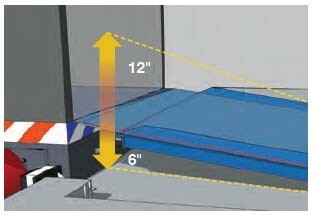 3, Cleanliness - When the leveler is stored, the overhead door can close all the way to the pit floor. Dirt, insects, and rodents are kept out, and the tight seal enhances building security by deterring unauthorized entry. The vertical storing position enables a more thorough pit cleaning, keeping internal sanitation levels high. 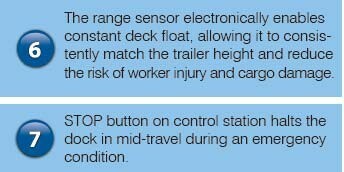 Here are the capacities the vertical RafRamps Dock Leveler can take. When a loading dock facility uses vertical storing dock levelers, they reduce their carbon emission levels and make even the busiest warehouses more environmentally friendly. Energy loss is also minimized, which leads to decreased operating costs. Raframp has one year standard warranty from the time of delivery. Ask a representative for more information on this.